mDOC claims are submitted using the Gateway EDI clearing house. You'll be amazed at the ease of this process. 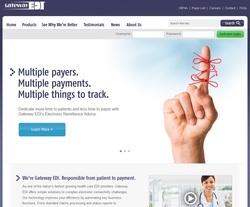 Focus on patients - not paperwork - thanks to Gateway EDI. Click image to open Gateway EDI's website for more details.